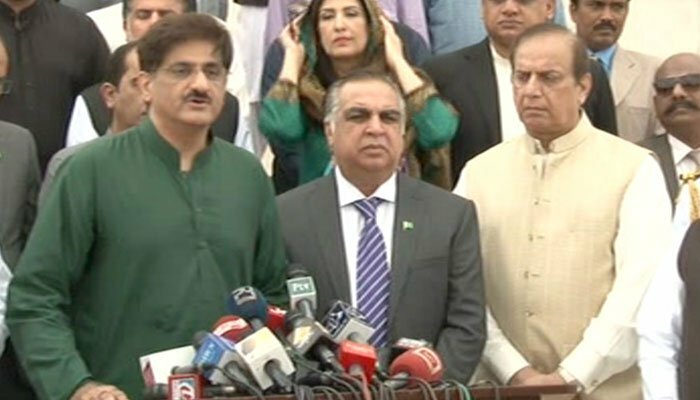 KARACHI: Sindh Chief Minister Syed Murad Ali Shah said on Tuesday that his government will curb street crimes just like “terrorism was eliminated” from the city. “Just as we have successfully curbed terrorism in the city, we will control crime,” He added. The provincial chief minister also clarified Pakistan People’s Party’s (PPP) position on the construction of Diamer-Bhasha dam that the party had proposed the dam and was not opposing it. “We are not opposing the construction of the Diamer-Bhasha Dam, we just say they are facing technical issues,” he said without delving into details regarding the technical issues. Answering questions pertaining to the Baldia factory fire case, he said that there is still development taking place in the case. “Criminals will be brought to justice,” he added. He also appealed to the Sindh government to contribute towards the dam fund.